It was just another weekend ballgame. As I sat on the ground with my camera on the tripod, my attention was on the action in the field. At some point, my eyes were drawn to the great expanse above the players. A storm was nearby and a massive cloud was in the distance. Not only was there a massive cloud, but the moon was rising. Not only was the moon rising, but a sun beam was forming a giant angle, separating the light from the dark all the way to the horizon. To say that it was a captivating sight doesn’t really do it justice. Like an enormous theatre screen, all of this was on display for us to gaze upon. The sky is God’s theatre and it is showing twenty four hours a day for all of humanity to appreciate. You are the light of the world. A city that is set on a hill cannot be hidden. 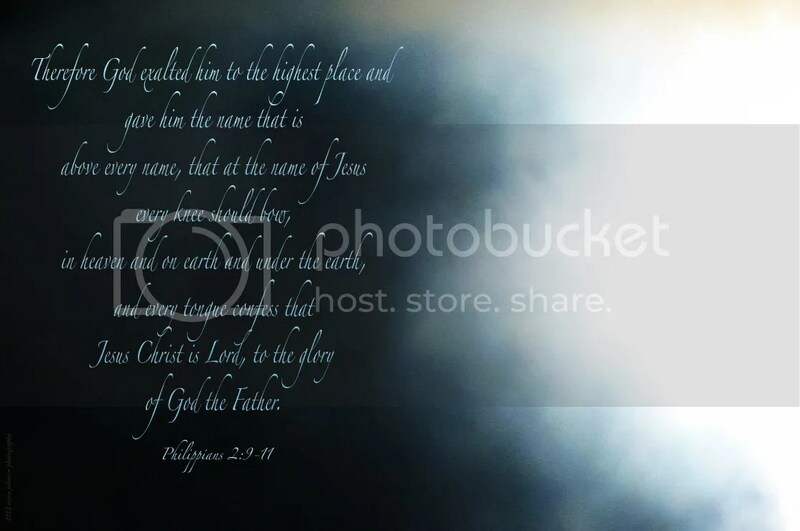 Let your light so shine before men, that they may see your good works and glorify your Father in heaven. Any one of us attending the event could have hidden our eyes from what was stretched in the evening sky, but we could not have hidden it from its place of praise in the heavens. If we, as Christians, are the light of the world, should it not be that our light in Jesus is stretched out before others? I had never been to this particular spot on the ocean before. A storm was near, giving a backdrop for what looked like a desert oasis on the barren looking shore. With sand as far as you could see in either direction, the singular mound, alive and green, was certainly conspicuous. A fertile looking spot, the grass was growing tall into the wind. Not the clouds, though they were towering overhead majestically. Not the flowering grass mimicking stalks of wheat. The best part was the rainbow that seemed to shoot forth from the mass of clouds down into the onshore island. God made it all—the sea water, the sandy beach and the mound. But the special sign of the rainbow, with it’s almost transparent hues beaming to the earth below made the experience more meaningful. 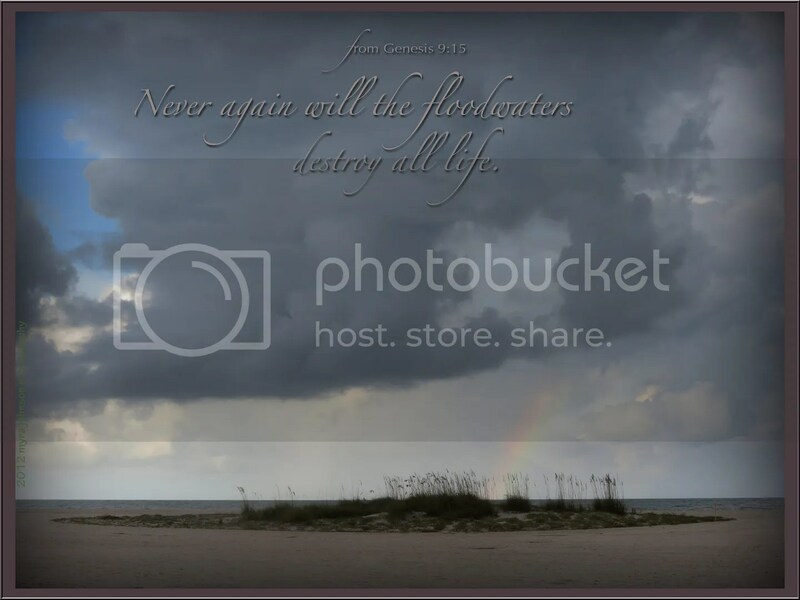 God made a promise long ago never to destroy the earth again with a flood. The rainbow is His sign to us. His promise was to be true to us, today. When God makes a promise, He will never go back on His word. Right now, it’s summer where I live. Heat index numbers have been over 100 degrees. If you have to be outside, finding some shade is preferable. The moment you step under a nice, full tree, the temperature seems to drop, doesn’t it? The brightness of the sun that causes the squinting eyes and sunburn seems to fade just a bit as your senses begin to relax a little. 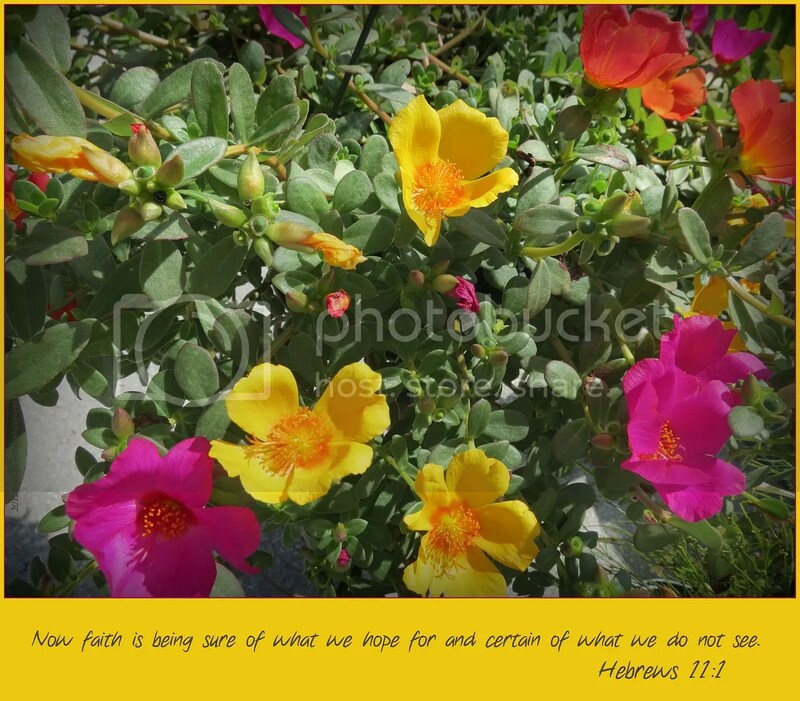 God tells us in the Book of Hosea that His people will again live under His shade. Oh, the comfort that God’s people will feel! The scorching sun will be traded for the coolness of His shade! 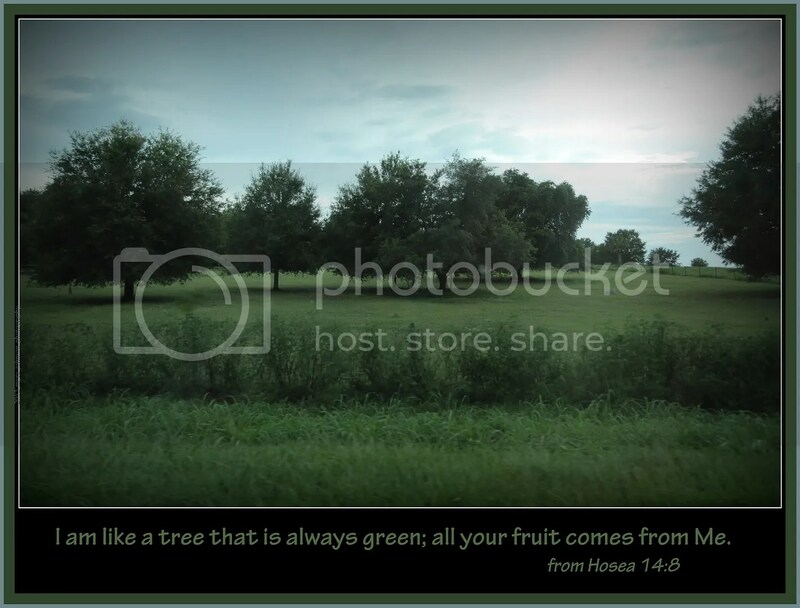 God is like a "tree that is always green." Everything that is good comes from Him and no other. A subtle tint of pink in every feather, gorgeous as he slept. Sometimes I put a pillow lightly over my head when I sleep. It blocks the light and gives a cozy sort of feeling to me. What would it be like to twist my head around and try to sleep with my nose on my shoulder? Besides being a chiropractic nightmare, I think it would be close to impossible. So why would a bird want to visit dreamland that way? I have read that they are resting their neck muscles when in this position. It doesn’t particularly look restful to me, but, then again, I am not a bird. 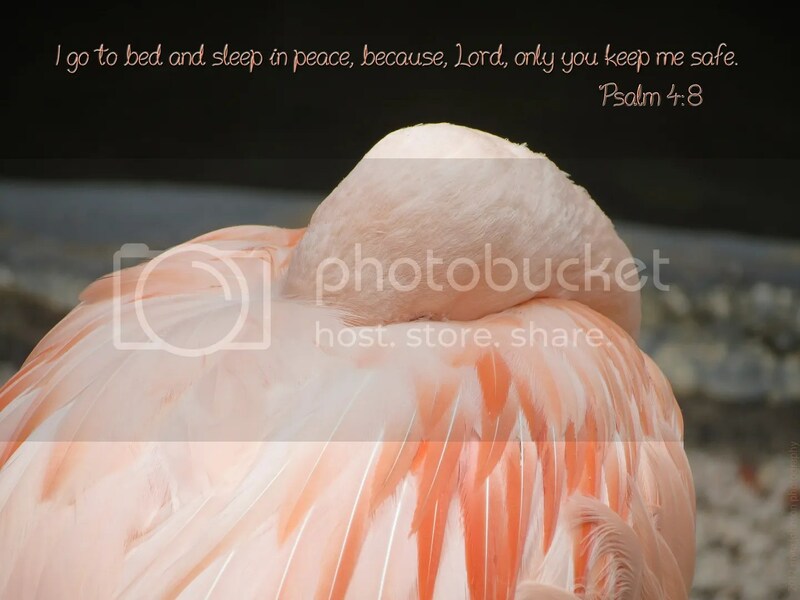 Do you ever wonder why God placed the need for sleep into our lives? It would have been just as easy to make us where we were always awake. The earth could have been situated in such a way as to have no night. But God didn’t create us that way. Rest and sleep were HIS idea, although He never sleeps. 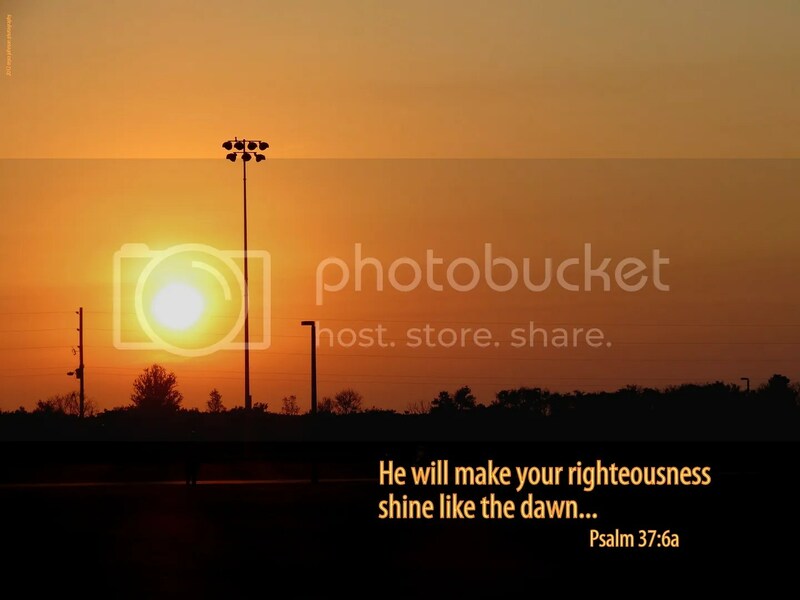 He is continually watching over us. because, Lord, only you keep me safe. While touring an impressive flower garden, I came upon an unusual sight. A Carrion plant was blooming in the shape of a star. This was not what I found to be unusual, however. A medium sized lizard was sitting on the bloom while flies buzzed around it—some even lighting on it’s body. Intrigued by this, I watched for several minutes. As one might suspect, it appeared that the lizard was the intellectual sort, choosing this plant to rest upon instead of another. A fly came within a certain distance of the lizard’s mouth, only to become part of its daily meal plan. Wanting to learn more about this extraordinary plant, I found an article about it. It seems that they have a scent that attracts flies who are hoping for a place to lay eggs or find food. Some of the plants smell like a dead animal and have the appearance of flesh with tiny hairs. Since I have never known flies to choose to get up close and personal with lizards before, this scene now makes perfect sense. A smelly plant blooms in a garden. Flies think it looks and smells like a dead animal. Flies normally are drawn to the flesh of a dead animal, so they are also drawn to the plant. Flies are hard to for them to catch, unless they come close. A smart lizard would find such a plant and wait patiently as several flies come right in front of their waiting mouths—a trap from which they will not return. The Bible speaks about a certain type of trap. 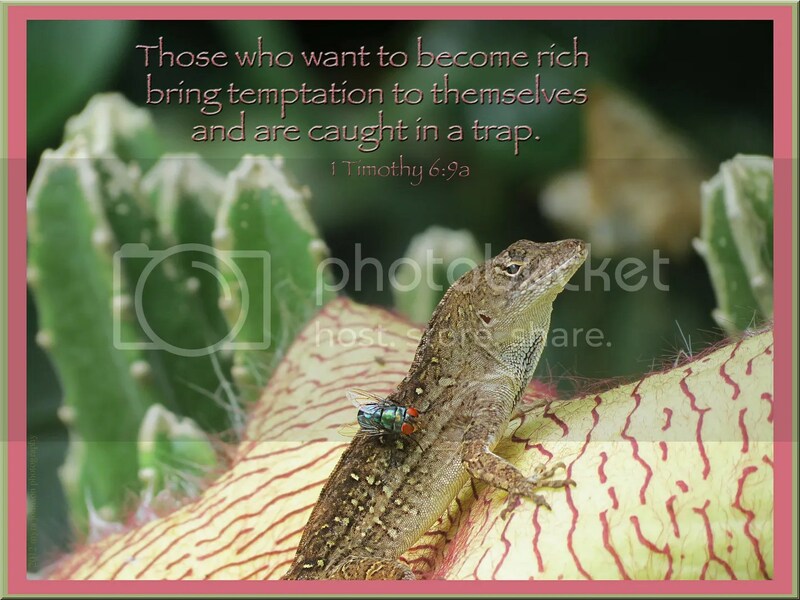 The trap of wanting to be rich. The kind of trap that slowly lures people into compromise, deception and ruin. A glittery, have-anything-you-want-anytime-you-want kind of life dangles innocently just out of reach as it demands more and more of those who persue it. Who would knowingly run toward destruction? Not many. Instead, Satan–the master of destruction– waits by the blooming flower of fame, fortune, recognition and status. The scent of pleasure draws unsuspecting victims to his lair. Once close enough, he seeks only to devour. 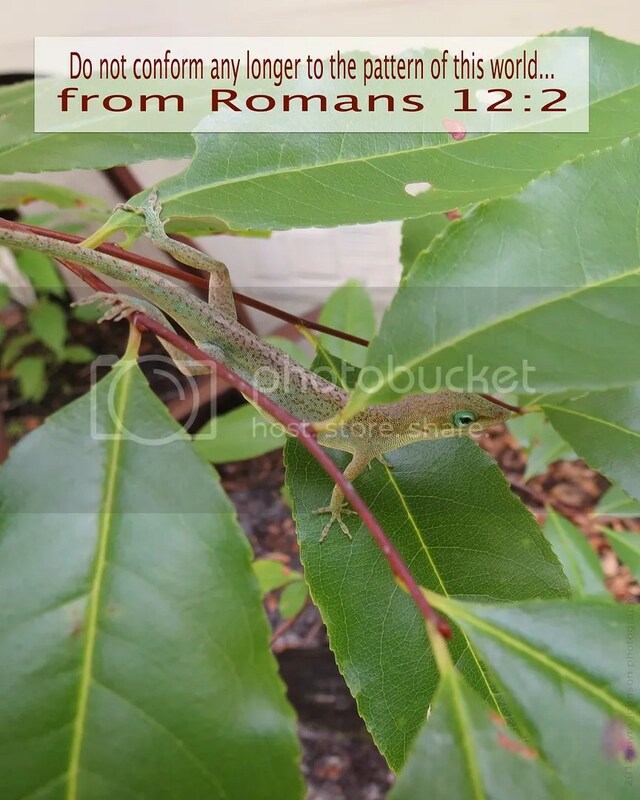 Walking around outside my friend’s house, I noticed a small lizard. Being the kind that decide to change color now and then, he chose to initiate that ability upon my arrival into his personal space. Though it’s somewhat hard to remember what his first appearance was like, I believe he was brown. Going into protection mode, he began to calmly take on a nice green shade, blending in with the surrounding leaves. His spine seemed a pinkish tan, blending in with the maroon branches that ran parallel to his body. Just a silent and protective proclamation, "Nothing special here—just a few leaves in a bush." If you can’t hide under a rock, become the color of your surroundings and no one will notice you. That was probably the exact thought of the lizard, emerging from his mind in lizard words. The lesson for me, however, is a different one. I can’t change my skin color at a moment’s notice, but I certainly know how to blend in when I can’t find a rock to hide under. If I am having a difficult time, struggling with whatever issue that has presented itself, I have fine tuned my camouflaging skills to mask it from others. Good friends may even come close, but when I choose to, I begin the process of casually diminishing into the surroundings so that my current emotional state is never considered—"Nothing worth asking me about here—just a regular day in the life of a regular person—just sticks and leaves." Why is it so difficult to share our troubles with others? Wouldn’t fellow believers in Christ have my best interest at heart, giving me wise counsel, pointing me to see things as God would have me to? The Bible tells us in Romans 4:2, "Do not conform any longer to the pattern of this world, but be transformed by the renewing of your mind. Then you will be able to test and approve what God’s will is—his good, pleasing and perfect will." Transformation is not always detrimental. Instead of hiding when I am struggling, allowing others to help could begin the process of "mind" renewal in that situation. It’s rough trying to break old habits. It’s not easy to stay brown when I know I can turn green and no one will notice. However, God does care, and He sees my heart, no matter what I look like. The morning light was shining through the blinds and into the bedroom. Only half awake, I was aware of the lyrics of a song playing in my mind. So strong was the impression that I continued to ponder its meaning when I became fully awake. A rose is created to bloom, but it must first exist as a bud. When it is told to unfurl, it obeys and we see what has been growing within. What has God said to me, here in my chest? Is the time for blooming drawing closer? Is it time to be quiet now? Is it a time to rest with God in preparation for what is coming? 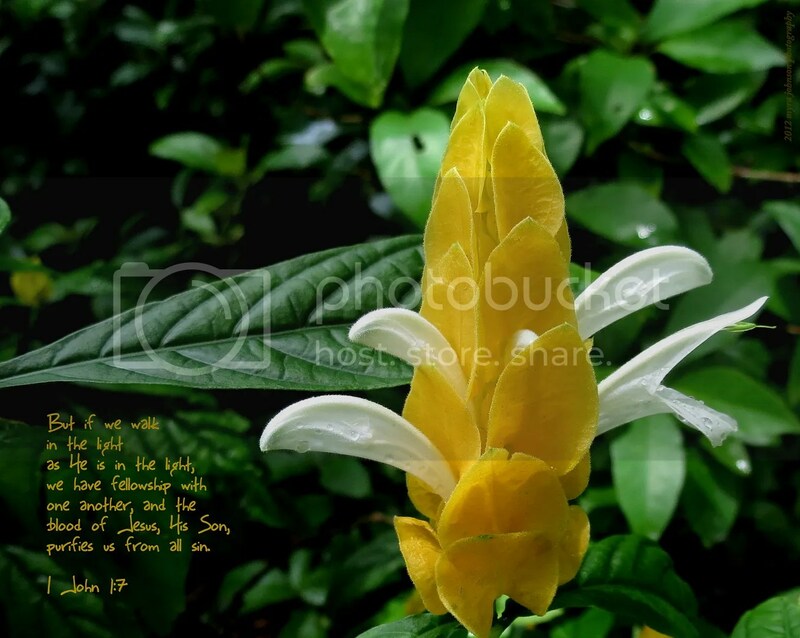 Will there be an unfolding in my life? What has God said to you, there in your chest? "Hey! There’s a big game Friday night! Can you make it?" Great! I’ll be there! Uh, no, wait a minute. I can’t. I just remembered that we’re having a special family dinner that night. It’s really important. Someone asks you to do something, be somewhere or commit to using your time. It sounds good at first, but then, you remember. You remember what’s most important, and then you make your final decision. What if every time we made a choice, we thought just two words—"Remember Jesus." "Hey, would you go with……"
"No one will ever know…." "Treat them just like they treated you….."
"There’s no point in even trying anymore…." "I don’t have time to read the Bible…." Whenever we are faced with a choice, whether it be good or bad, we should remember who we belong to and what He did for us. Wouldn’t it make a difference? Do I have a God-shaped life? Am I devoted to things? Am I a student of evil? Do I drive a hard bargain? Is my world getting larger and larger? Therefore, since we have a great high priest who has gone through the heavens, Jesus the Son of God, let us hold firmly to the faith we profess. For we do not have a high priest who is unable to sympathize with our weaknesses, but we have one who has been tempted in every way, just as we are —yet was without sin. Let us then approach the throne of grace with confidence, so that we may receive mercy and find grace to help us in our time of need. At some point, probably in my childhood, I learned a song about a wise man. This idea is constrasted later in the song with the foolish man building his house upon the sand. The rock is likened to Jesus and therefore, if your house is built on Him, you will be safe. Although not well educated in the finer points of construction, I do understand the significance of building on a solid foundation. Along a similar line of thought, I still own my childhood copy of The Three Little Pigs. In this secular story, each pig builds a separate home. Only the one built with bricks could withstand the hungry wolf’s attacks. No foundation is mentioned in this story; only the building materials. 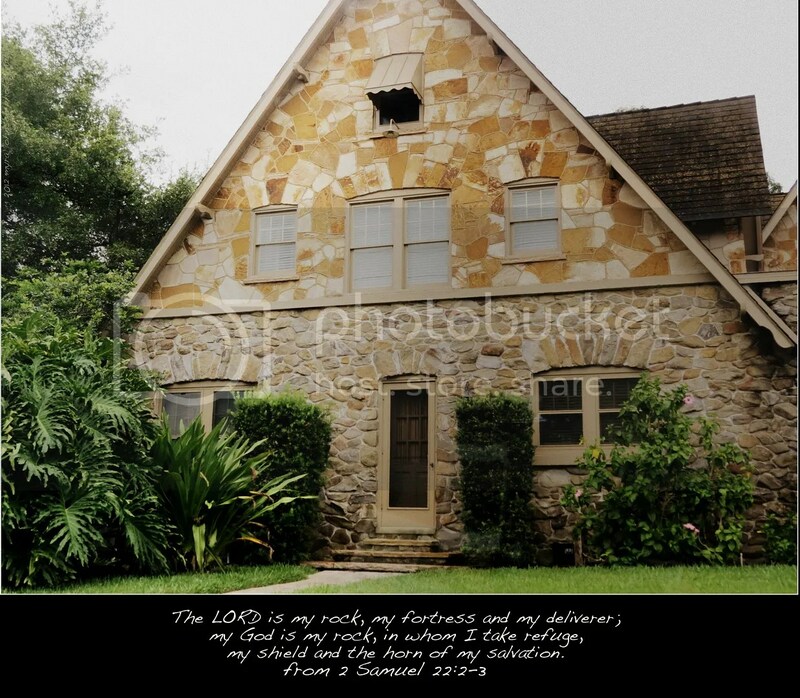 What if your house (your life) was built from rock (Jesus)? Not just the foundation, but the walls, as well. Even the entrance to your home—the very steps used to enter it. How would it hold up when the rain came tumbling down? What about when the wolf showed up? Your life would be spared, for eternity. It’s the only safe choice to make. Standing onshore just at the water’s edge, I could see two storms—one to the north and one to the south. The clouds were releasing walls of rain from each. It wouldn’t be much longer until I would have to make the decision to leave my sandy vantage point and head for shelter. Drawn to the scene before me, I peered out into the ocean’s endless waves. Far out to the north, I could see a distant vessel. It seemed to be so near the cloudburst. I photographed it over and over, intrigued by the very sight of such a craft surely rocked by waves, perhaps trying to outsail the speed of the storm. What was going to happen to this little ship, faded on the horizon? Our lives can feel like a lone vessel, battling the wind and waves sometimes. The clouds seem infinite and angry and the sea appears so vast and void of hope. Yet, we are not alone. God is watching and He is the Master of all. 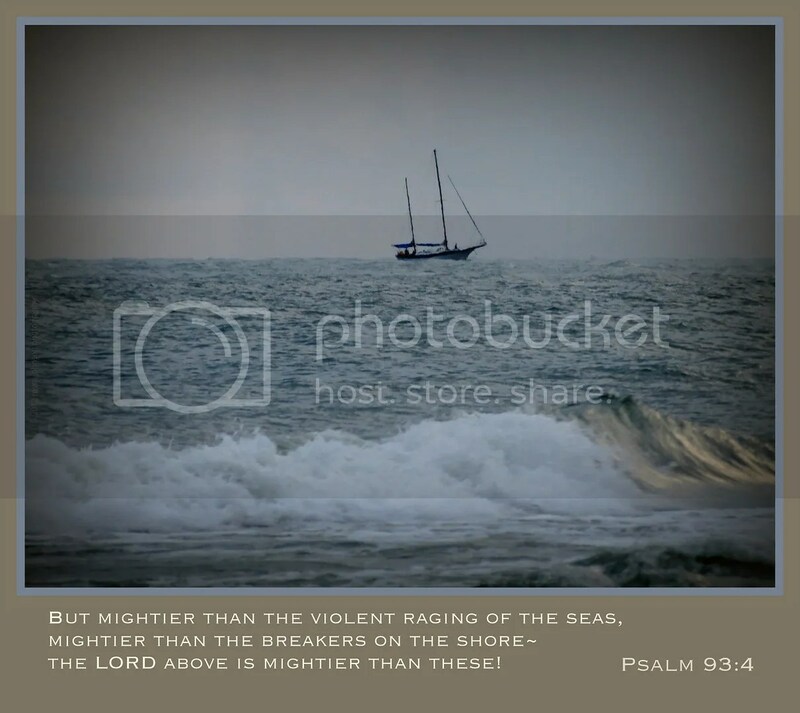 The LORD above is greater than any storm we encounter. The foundations of law and order have collapsed. The Lord examines both the righteous and the wicked. For the righteous Lord loves justice. Jesus told a parable about a man of noble birth who went away to be appointed as a king, planning to return. He gave some of his servants money and instructed them to put it "to work." 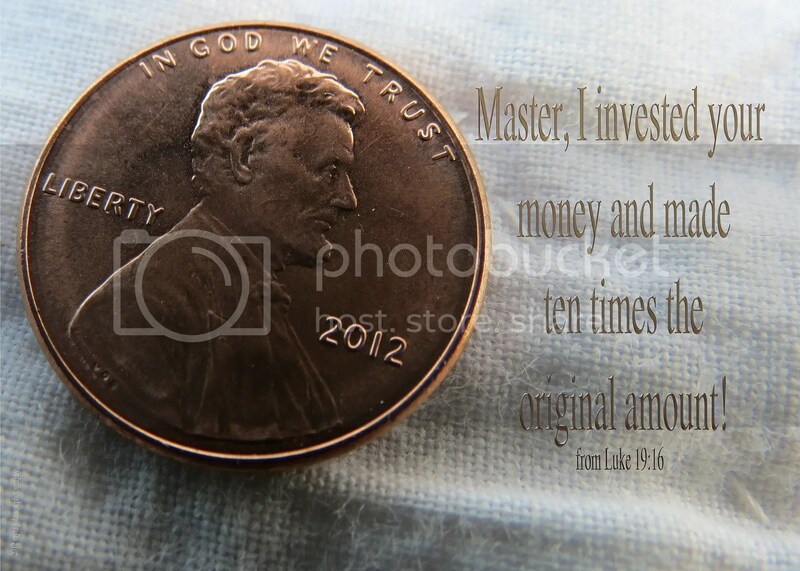 When he returned as king, he found that one servant had not invested the money intrusted to him at all. In fact, he had buried it in the ground. The king was not pleased with that servant. Another servant had used the money wisely and had made five times the amount originally given to him. What do we do with what Jesus has given to us? Do we invest ourselves into the children that he gives us? Do we invest ourselves into our friends? Do we invest ourselves into those we work with? Do we invest ourselves into the lives of people that are in need? What would Jesus have us do with all that He has blessed us with? 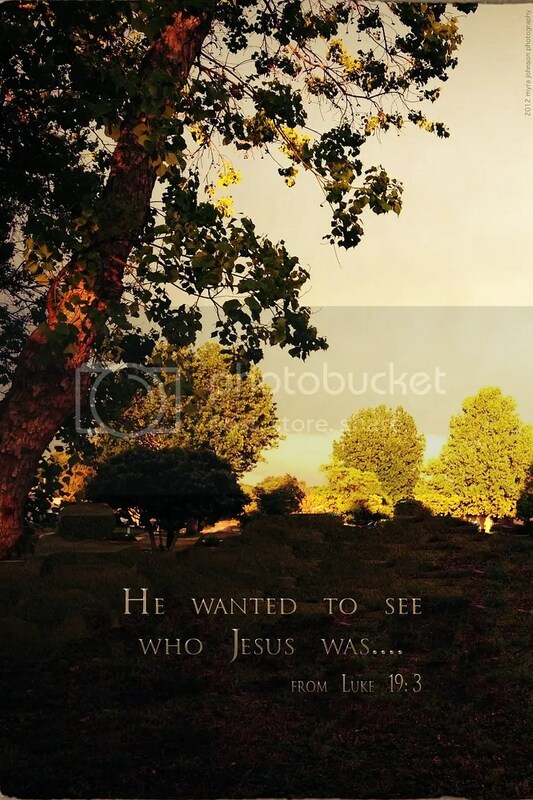 Someday, when we meet Him in Heaven, will He say to us, "Well done! You’ve been a good servant!"? It was a perfect evening for walking by the lake. The temperature was cool and the soft glow of sunset was still illuminating the water. A large bird had been perched high in a tree moments before. He graciously allowed me to photograph him. As I stood on a pavilion located on the boardwalk, an alligator surfaced and made his way silently in the water beneath me. It was a beautiful night, but it wasn’t completely safe. If I had fallen into the water, I would have been an unexpected guest for the alligator and any of his relatives. If I had walked out on the dock, that would have been more of a possibility. Especially if the lights that are provided there were not working. In the dark, it’s easy to miscalculate your next step. 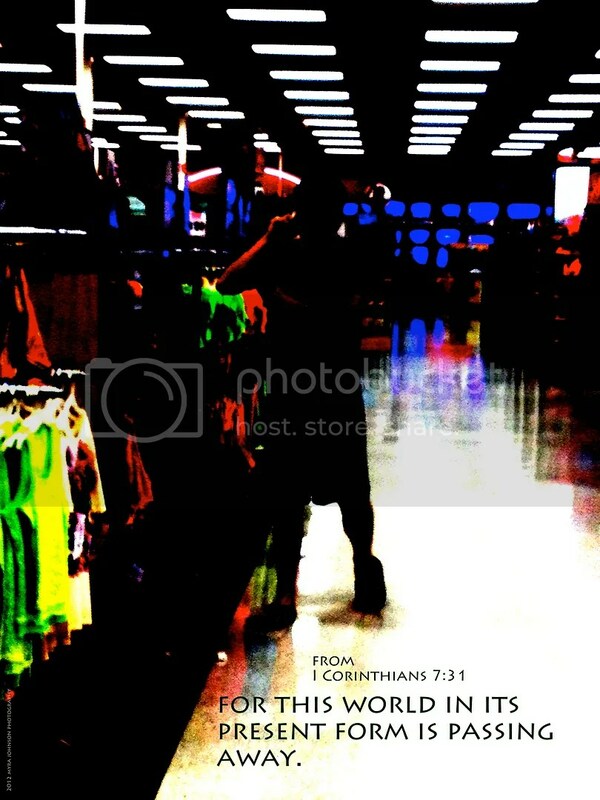 Doesn’t God still turn the darkness into light for those that reverence Him? 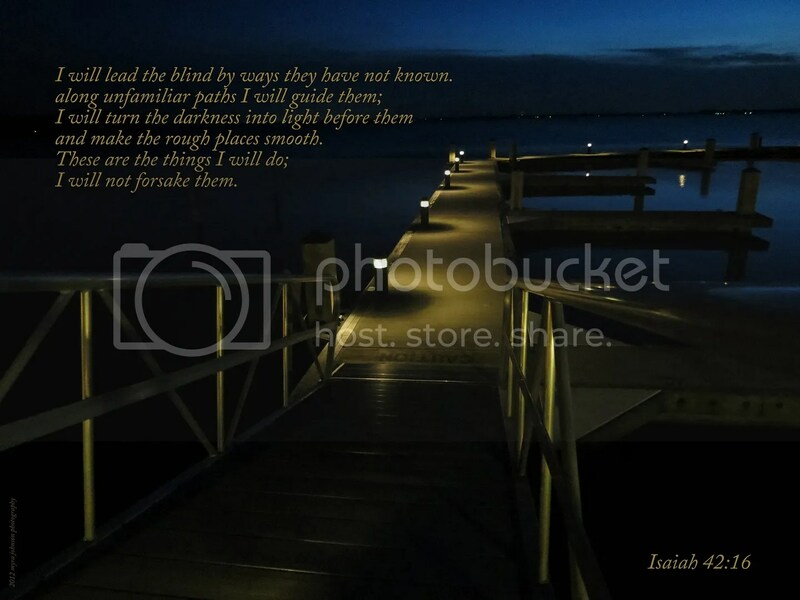 Just as the dock lights illuminate the walking area, God’s light illuminates our path during our life journey of servanthood. We don’t need to be afraid to go to the "docks" in our lives, even when it’s dark and potentially unsafe. God will be there, lighting the way. I attended a wedding recently. 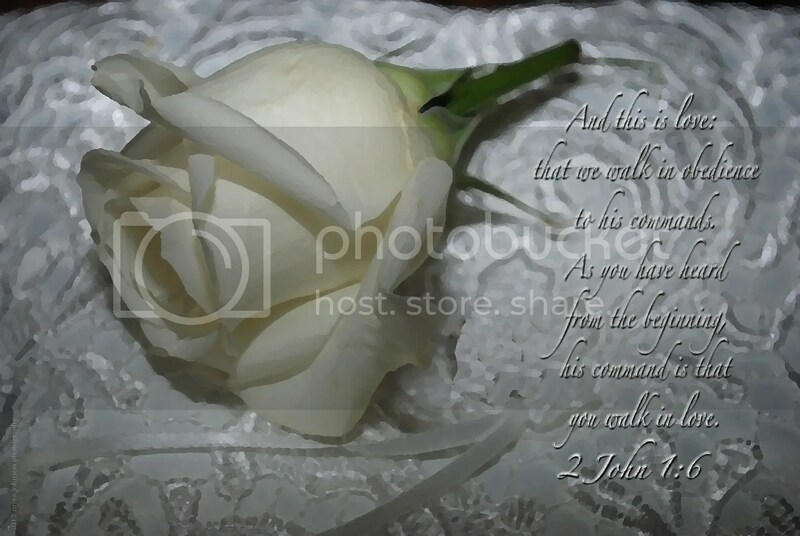 As with every wedding I have ever seen, love was the central topic of the service. Have you ever heard of a wedding where those making vows were not doing so out of love? I wonder what it would be like if there were ceremonies where each of us would publicly promise to love others every day of our lives? Can you imagine the vows? I promise today in the sight of these witnesses to be loving toward my family. I do solemnly vow to be loving to my friends, neighbors and coworkers. I do now make an oath to be loving to all strangers that I encounter. I pledge to be loving to all people in all that I do. I wonder how many ceremonies would take place? Who would have the courage to make such commitments? As followers of Jesus, we can ask Him to give us the strength to "walk in love" everyday. Jesus knows every thought we think. In fact, He knows our heart. He knows the almost thoughts that are such deep feelings that they can’t be put into words. Travel with me back in time for a moment. Except, it was a day that would change one man’s life for all of eternity. This man was a government worker. He probably felt that no one liked him. Because of his work, it is likely that he didn’t have a lot of friends. A man with a hardened heart? But, if it had been, something was churning inside that was heralding change. "He’s coming. I know He is. The crowd is gathering….what can I do? I’m sick of my life. Can He help? Would He even notice me? I’ve got to get through this throng of people! Oh, why did I have to be so short? The voices are getting louder. He’s out there! Was that Him? I only caught a glimpse….Wait!!!! That tree! I’ll climb it, then I’ll see!" No one would have known the yearning in this man’s heart. Perhaps, no one would have cared even if they had known. But there was One who did hear. He heard long before He approached the tree. He heard the muted longings deep within the man’s inner being. He heard every thought, and with the hearing, love and compassion came forth. What was the man’s response? Can’t you just hear his thoughts now? "He wants to come to my house! Jesus is coming to MY house!!!!" Has Jesus changed since that day when He entered Jericho and saw Zacchaeus? The fact is, Jesus sees you. 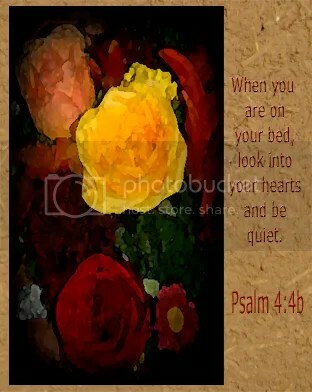 He hears your every thought and discerns your deepest longings. If your desire is to see Him, He will not pass you by. Has salvation come to your house today? It was the middle of the day and storms were rolling in. Cloudy and gray, there had been rumbles of thunder before I had left my house to take our son to work. The parking lot where he works joins the parking lot of the establishment beside it. I dropped my son off near the door. As I was about to leave and return home, the sight before me caused me to take notice. Without a lot of thought, I pulled out my camera and took a picture of the scene. My son works at a busy place; cars in and out of the lot, people coming and going. There was quite a difference in the view just a few yards away. The building’s wall was dull looking and blank on this dreary, summer day. There were no cars, whatsoever, in the side parking lot. There was a lone tree planted near the corner of the wall, but it was bent over and crooked. Do you know someone who feels this way? Right beside them, in plain view, the world looks like it’s having a party that they’re not invited to—people coming and going, smiling faces, cars in the parking lot. But there they are, a blank wall. Their parking lot is empty. Oh, there might be a tree in the yard, but it’s bent and ugly. Who cares about them, anyway? If you don’t know anyone like that now, you will probably meet them in your lifetime. 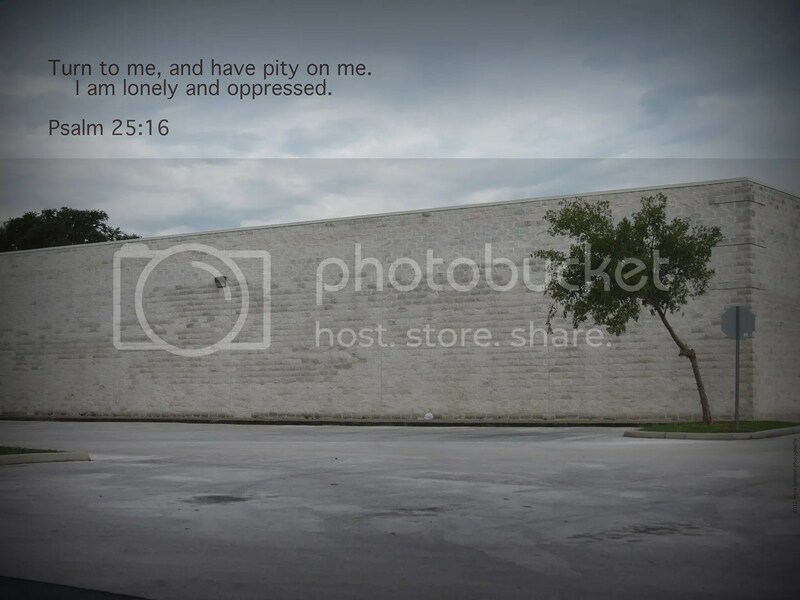 Turn to me, and have pity on me. I am lonely and oppressed. If you do know someone who is struggling with lonliness, let me encourage you to reach out to them. Remind them that they are of great worth. Listen as they tell you about their struggles. Point them to Jesus and assure them of His love. God can relieve a troubled heart. It might be through your friendship that He begins the healing. It was a very early morning for me. It was still gray outside, but that didn’t matter. 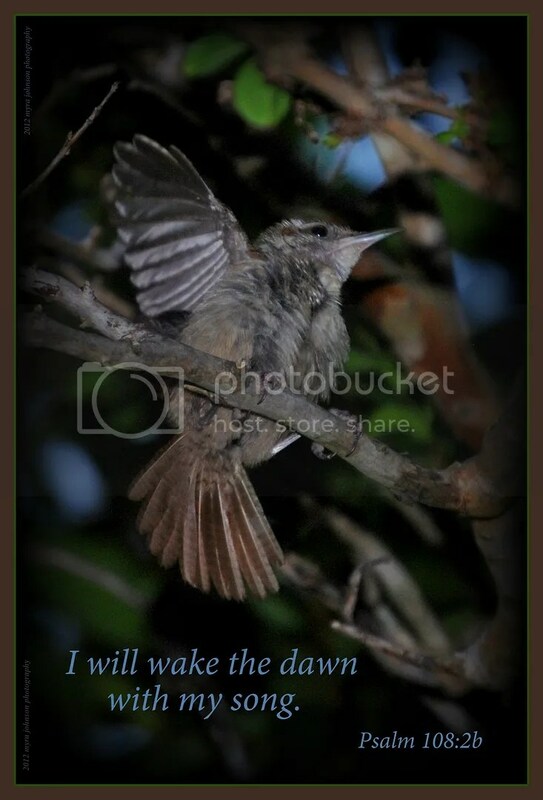 The bird that was sitting in the tree by our front porch was singing. Trying to fix my camera on the little feathery soloist was a bit tricky, as he was high in the branches above me. He had started his day with a song. Our son has a pet. I realize that this may be a stretch for some, but we love this creature. He is a crested ghecko. He lives in a glass tank with a screened top in our son’s bedroom. His skin is soft like a puppy’s ear. He has little toes with special grips on them so he can hang on tightly to you as he walks up your arm and sits on your shoulder. He has a cute little tongue that laps up water from his pool just like a dog. He will lick food from your finger. He allows us to stroke his back and pet him. Now that you understand a little better how we could develop this family bond with our ghecko friend, let me tell you what happened to cause us sorrow. Eleven days ago, our son called for help from his room. He had left to go visit a friend right after removing the screen and feeding his pet. He had forgotten to place the screen back onto the tank, leaving it open. Let’s just say that our beloved pet seized the opportunity to explore the great and vast unknown beyond the confines of the tank. We had no idea where he was. Even worse, we wondered if our cat or dog had eaten him. We looked all in the room. Where, oh, where could he have gone? God knew where he was and if he was still alive. Visions of our sweet little pet, dried up in a corner somewhere because of not having any water were painful to think of. This morning, before I was up and out of bed, our son came to my room and said that he just turned and looked at his night table (which is where the tank is located) and saw his ghecko just sitting there! 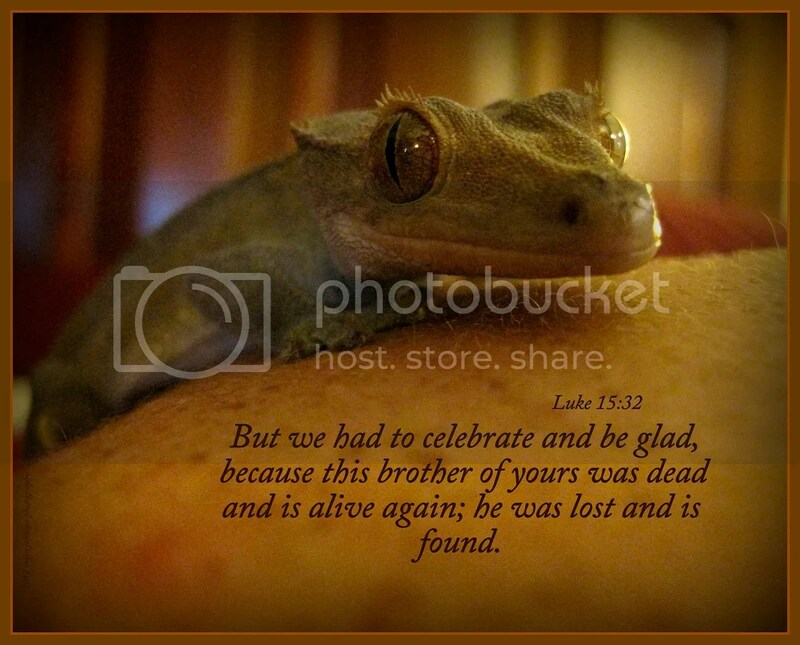 When he told me he was alive, I jumped out of bed with a resounding, "Praise God!" as I hurried to the room. Our precious little guy was drinking water constantly. Sitting at his drinking pool, his tongue was lapping up the water with a steady rhythm. Eleven days without food and water. He had left the safety of his tank in search of adventure, I suppose. We wanted him back, but we didn’t know where to look. He had to come back himself so we would see him and welcome him home. No other place in the house was really what he needed. His water, food and greenery could only be found in the tank. It all reminded me of the prodigal son. He had what he needed at home. He decided to leave and check out the great unknown. He quickly found himself hungry and destitute. Realizing his mistake, he came home, hoping to be accepted, not as a son, but this time, as a mere servant. His father had been waiting for him, not knowing if he was alive or dead. When he saw his son coming, he began to rejoice! Does this desribe you? Have you run away from what you truly needed? Are you lost, desperately wanting to go back home? He is all you need. Strolling through the flea market yesterday, I came upon an area of flowers and plants for sale. Almost immediately, I noticed a large hanging pot of blooms that reminded me of flowers that my mother had in our yard when I was a child. I decided to snap a picture of them and then find the proprietor to inquire about the price. After being shown another smaller pot of the same plant, I made a decision. I would purchase the large container of flowers. They rode to their new destination in the trunk of my car. Adding quite an array of colors to the area near our front walkway, they are now at home. Before I purchased them, they weren’t. Oh, I had taken a photograph of them. But it couldn’t ever really take the place of the real thing. When considering faith in God, I’m afraid there are many who would find themselves like me when I first noticed the brilliantly colored plant. I saw it and I wanted to take a closer look. I wanted to own it, but I really hadn’t made the decision yet. I took a picture of it that would remind me of what it looked like. Some people find out about God and what He has done for us through His Son’s sacrifice on the cross and they are interested. They want to take a closer look. They may come to church or a Bible study group. They may question others that they know about what faith really is. They may mentally "take a picture" of what faith looks like in the life of a friend. But it’s not really theirs. They don’t own it yet. They’ve not really made the final decision. I do know a good many people who have, however. Seeing faith, they stopped to take a look. Finding the beauty of who God is and how he loves us, they wanted to know more. Deciding that they wanted it for themselves, they made the decision to take it home. Faith in God is theirs now. Is faith in God and His Son, Jesus, something you’ve only considered? Or does it have a permanent home in your heart? I truly believe that God wants me to write about something very specific tonight. If I didn’t, I would feel that I was disobeying my instructions. God is in control of everything, and that includes showing me what to do, right now. My husband wanted me to go with him to a nearby community where he often goes to exercise and practice soccer skills. As we parked the car, the area was such a wide open expanse! A thunderstorm was approaching and the sky was turning dark. I noticed a cloudburst on the horizon, so I began to photograph it. Today, I walked into the family room and found my husband reading the Bible. This was not unusual at all, since he reads it quite frequently. I often read the Bible in my tiny home "office" or just before I go to sleep at night. Speaking to my husband, I said something like, "I think I will read the Bible, too." I keep a copy of the New International Version 1984 in our family room. It is not the Bible I normally read from. Opening it up to a place where I had put a sticky note, I began to read from Psalm 18. I read about how God’s way is perfect and how the word of the LORD is flawless. 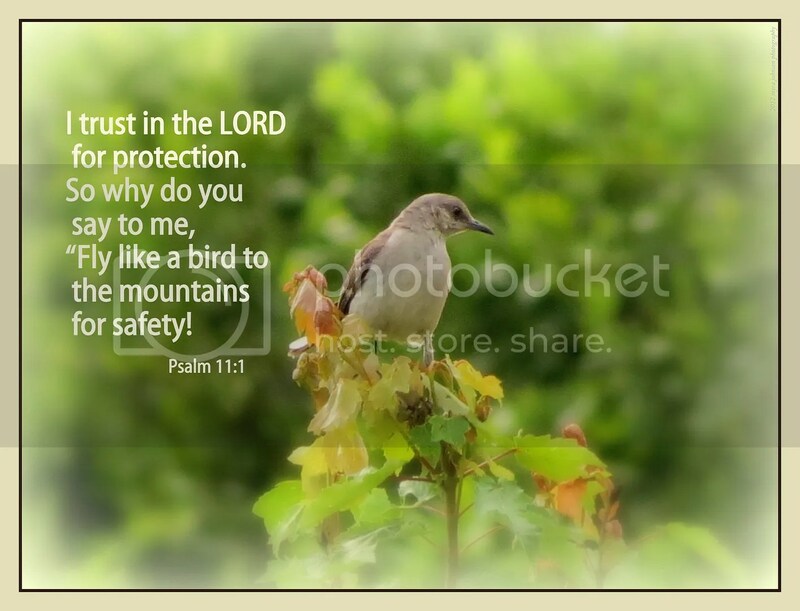 How He is a shield for all who take refuge in Him. Sitting at my computer tonight, I uploaded the photos I had taken earlier today when I was out with my husband. 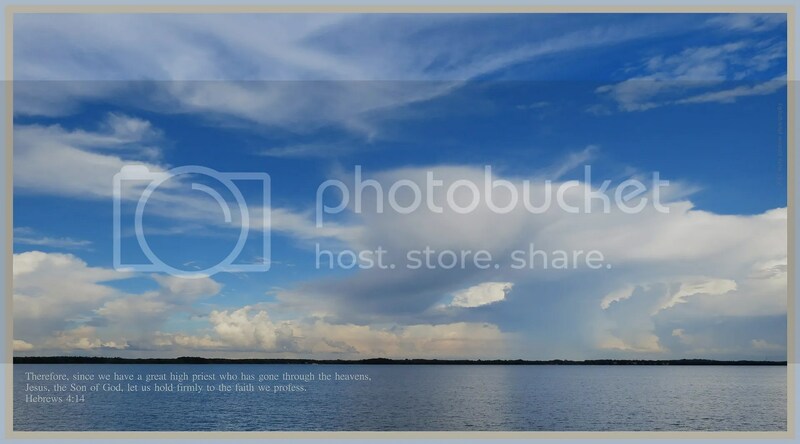 I decided (actually, I think God prompted me) that I would use a photograph of the cloudburst for Picture My Thoughts tonight. I normally visit an online Bible site daily. 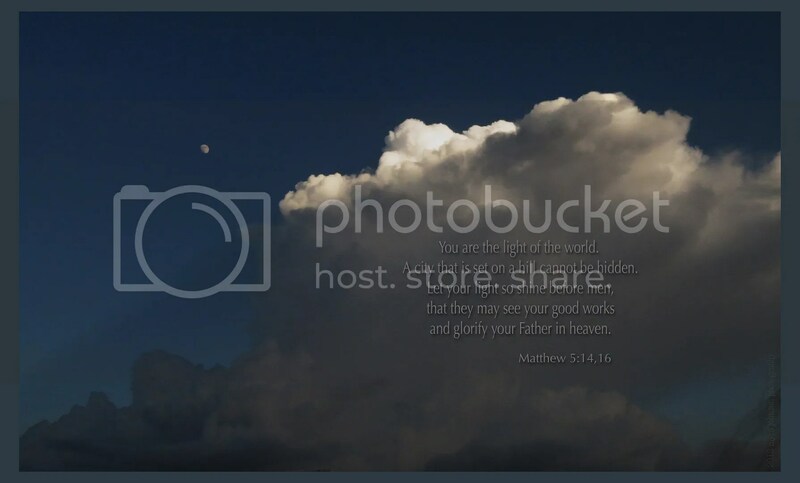 As I brought up the site on my screen, the "verse of the day" popped up. Someone, somewhere decides what that verse will be each day, but it is surely God who directs them. Wasn’t that what I had read earlier today?? I got up from my computer and walked to the family room to check and make sure. Picking up the Bible I had been reading from earlier, I opened to the yellow sticky note. First, the out of the ordinary visit to the remote area with my husband when it just "happened" to be stormy. 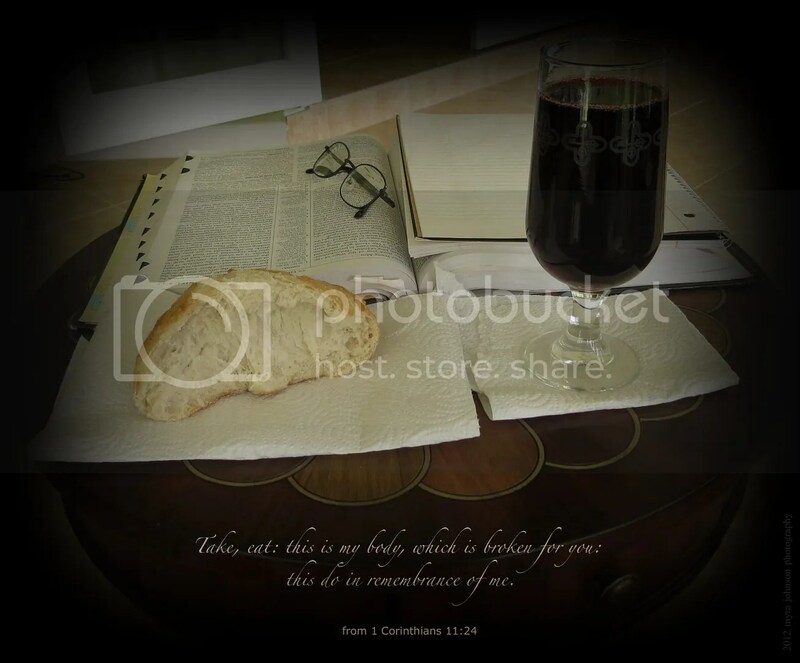 Next, I decide to join my husband in the family room to read from a Bible I do not usually study from. Then, I "randomly" open to Psalm 18 which was marked with a sticky note. Later, I decide to use the storm photo for Picture My Thoughts. 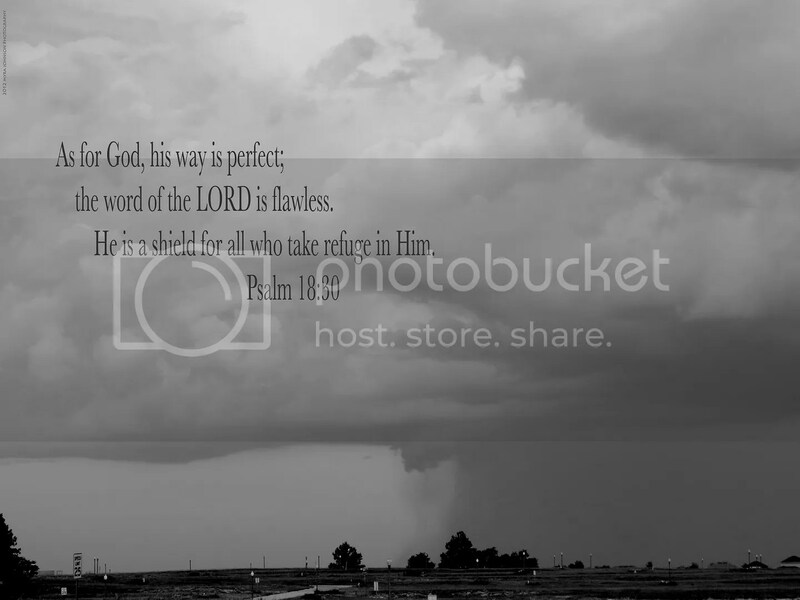 Opening the online Bible site, one of the verses I had read in the family room is the verse for the day in exactly the same version I read from AND since it speaks of taking refuge in God, it fits perfectly with the photograph of the storm from which anyone would seek shelter and refuge. God put all these events together today. The word of the LORD IS flawless and He IS a shield for all who take refuge in Him. He wanted me to know this today and I believe, ever so strongly, that He wanted you to know it, too. It was half past noon and I couldn’t find a place to park. Finally, on the corner of Alexander and 4th, I found a spot–with no parallel parking skills needed. Walking to the downtown salon and spa, my shoulder was laden with a bag holding two cameras and lenses for my photo session. The atmosphere was relaxed and welcoming. After only moments had passed since my arrival, I was offered something cold to drink. The temperature outside was certainly well into the nineties. After having just had my short excursion outdoors, I accepted. Water, chilled on ice, with mint leaves and cucumber slices. It was a completely new flavor of refreshment for me. In fact, I had not heard of it before. 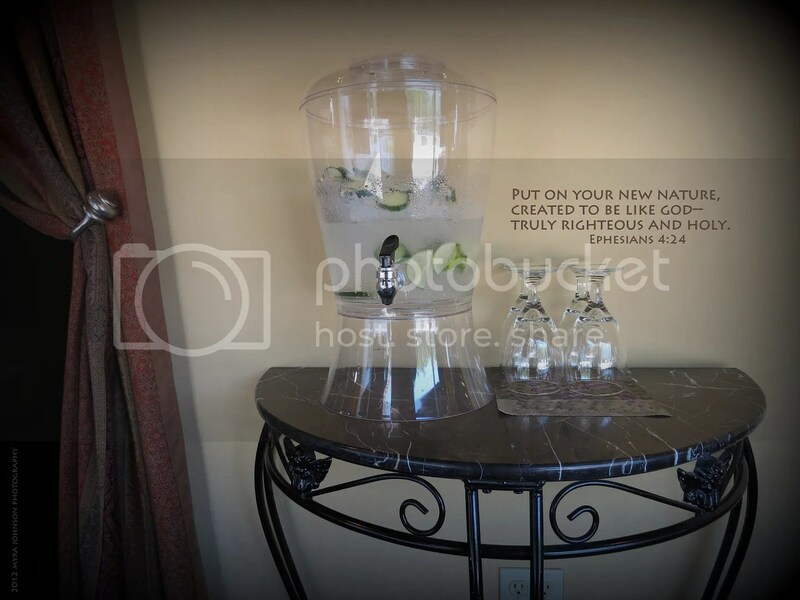 What once was simply water with ice had been transformed by the mint leaves and cucumber submerged within it. The water had taken on the characteristics of both. When we become followers of Jesus, isn’t it like that, as well? We are plain and tasteless, spiritually. 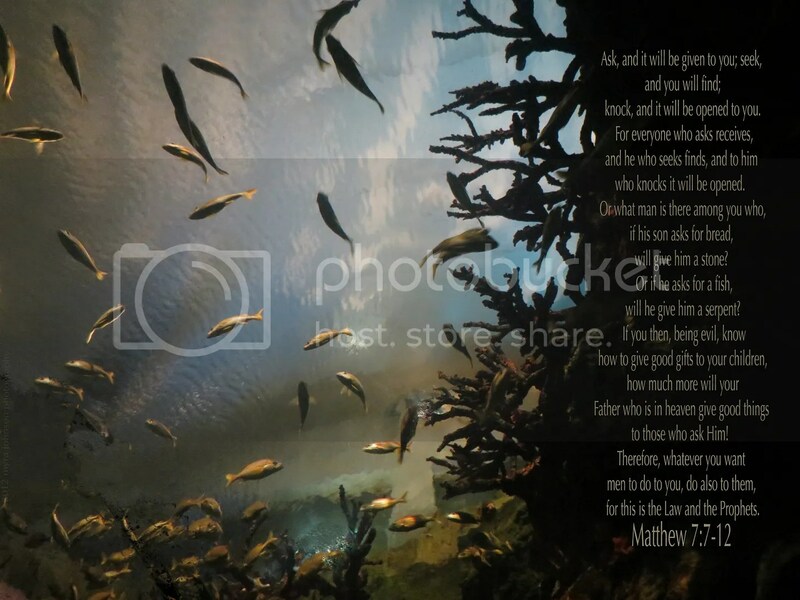 Then, we are reborn–remade–as God puts new life within us. A different kind of life. A new flavor, something unknown to us before. When others look at us, they see this difference. It causes them to notice. Someone who has new life in Christ? I want the life I have as a Christian to be such that it causes those around me to see a difference. And when they inquire, I want to be ready to tell them what is making the difference, each and every day. I have lost loved ones very close to me; in many ways, I still mourn. I enjoy times of happiness. I go shopping and buy things that I want. I like to submerge myself in ocean’s waves along the seashore. I live in a house, drive a car and wear clothes made from resources of the earth. Even though we live in the world, I think this passage encourages us not to be completely wrapped up in it’s affairs to the point of losing sight of what’s really important–knowing God. If Jesus returns in our lifetime, we could say that time is short for the world as we know it. 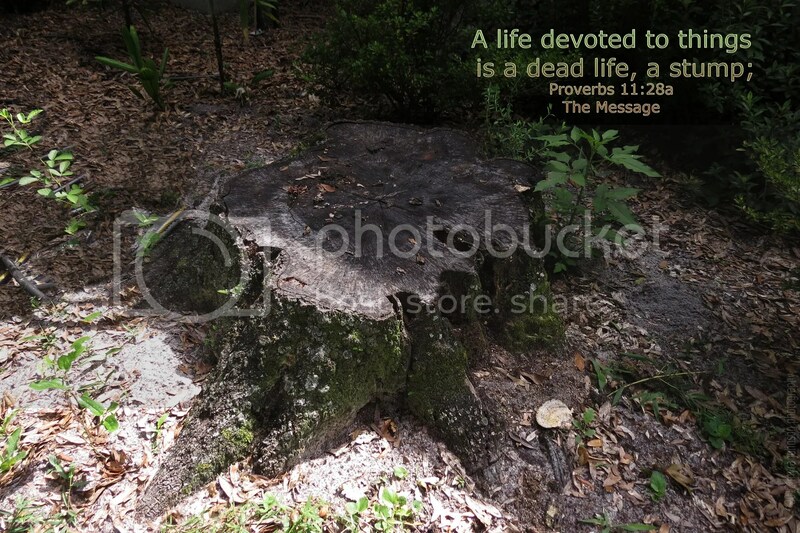 As humans, we know that our lifespan is limited. If Jesus does not return during our lifetime, we will still only exist on the earth for a finite number of years. In essence, our time is short. What would happen to a nation who would give thanks to God? What would happen to a nation that would call on His Name? What would happen to a nation that told other nations what God had done? 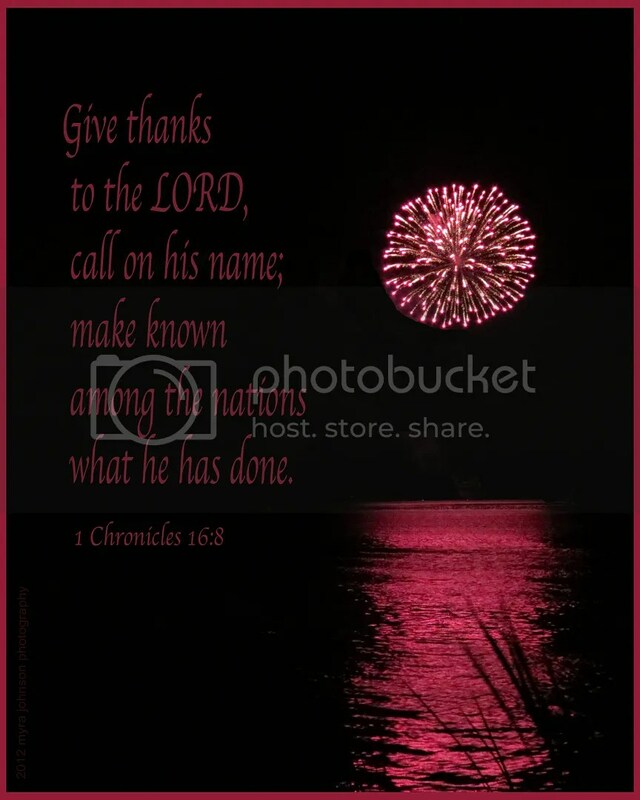 What would happen to a nation that would sing praises to God and tell of His wonderful acts? What would happen to a nation that would glory in His Name? What would happen to a nation that would look to the LORD and His strength? What would happen to a nation that would seek His face always? We had some stale and hardening bread at home. It was nearing sundown and my husband and I decided to visit a park and treat the birds there to an early evening morsel or two. As expected, a group of birds gathered after the first one to notice bread on the ground gave the rallying call. To my delight, a squirrel or two also responded to the dinner bell. Cautious, but brave at the same time, they ventured ever closer to my camera and to the bread. One especially sharp thinking squirrel decided to outwit the birds. 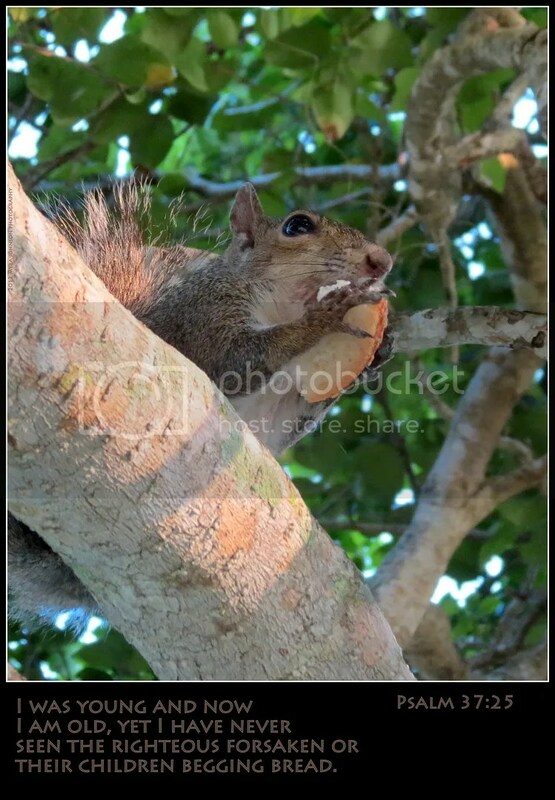 Grabbing a piece of french bread, he scampered up a nearby tree to enjoy his feast of white bread topped with sesame seeds. We weren’t planning to return the next day or the next. In fact, it could be months before we ever visit the park again with bread. But I’m not worried about the squirrels. In fact, I’m not worried about the birds, either. They will be fine, having what they need to eat each day. God will take care of them and provide for their needs. He provides for the needs of His people, as well.